Have you ever been stranded in a spiritual wilderness-without compass, comfort or companion? Do you remember feeling frustrated? Angry? Maybe you're there now. If so, take heart. Deserts have a unique way of making each oasis with God that much more inviting. Inspired by his personal trek through the Sinai wilderness, Dr. Jim Gills came home convinced that even "desert experiences" hold an important place along the journey of life. Gathering from the timeless story of the ancient Israelites, Jim related biblical insights and offers practical applications to encourage the weariest pilgrim. From the mountain and across the land, God's call has sounded. He's still calling a people unto Himself. Don't miss out. 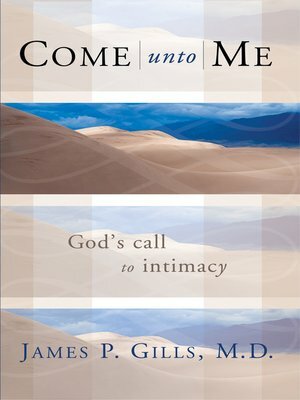 Be sure to make room for Come Unto Me in your backpack.